The Alfred Ceramic Art Museum is a research and teaching facility whose primary mission is to collect, research, and exhibit ceramic art for both aesthetic and educational purposes. The permanent collection includes a wide range of ceramic objects, from ancient to contemporary. The museum acknowledges the Binns ceramic art legacy from which Alfred University's art school has grown and celebrates all visual arts through its exhibition cycle, while concentrating on its collection policy on ceramic art. The Alfred Sculpture Park is located on the corner of West University and Main Street in the Village of Alfred. The Alfred Art Park is a group project involving property owners John & Chelly Ninos, Alfred University and sculptors Glenn Zweygardt & Coral Penelope Lambert. 2018 marks the third year highlighting the artwork of past and present sculptors who have passed through the NYSCC at Alfred University. Featured artists include J. Fischer, Hannah Hones, and Calvin Hubbard, as well as Jeremy Entwistle, Professor Emeritus Glenn Zweygardt, and Zweygardt's 2017 apprentice, Lucas Janovsky. The Bret Llewellyn Gallery is located inside the engineering technology building at Alfred State College and exhibits a wide range of student artwork, as well as that of emerging and established artists at the leading edge of their mediums, despite a relatively unconventional location. ​ Each spring, the Bret Llewellyn hosts the work of graduating seniors who are receiving their Bachelor of Science in Digital Media and Animation. The Cohen Center and Gallery is located on the main street of Alfred and exhibits the work of Alfred University alumni, faculty, and visiting artists. In addition, the gallery provides students with hands-on experience in areas including arts administration, marketing, and management. All exhibitions are planned, prepared, and marketed with the assistance of students. The Cohen Gallery seeks to create opportunities for students, faculty, and alumni to come together and engage in professional artistic activities and gain valuable experience in the business of art. The Fosdick-Nelson Gallery is a gallery housed within the School of Art & Design at Alfred University which acts as a vibrant learning center for the visual arts. Highlighted in this gallery's rotating exhibitions are both established and emerging artists working in the United States and abroad. It's the only established contemporary art venue within a 60-mile radius, and offers the community an opportunity to experience the diverse world of contemporary art and culture through extended programming, including lectures and special projects. Gallery 2 Gifts of Distinction features artwork by over thirty local artisans, offering for sale and viewing, "something for every occasion." Open Tuesdays through Fridays from 10am - 5pm, Thursdays from 10am - 6pm, and Saturdays from 11am - 4pm, Gallery 2 is the perfect place to find locally hand-crafted items for gifts or for your home. 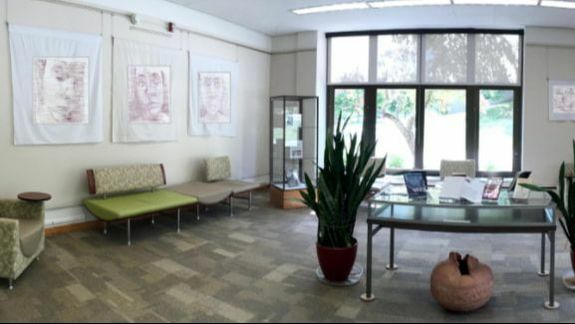 The Herrick Memorial Library features an eclectic mix of two- and three-dimensional art of students, faculty and alumni while providing comprehensive yet straightforward access to outstanding scholarly resources for Alfred University's programs in the liberal arts and sciences, education, and business. Student learning is supported through its well-designed and maintained facilities and state-of-the-art technologies. The Hinkle Memorial Library Gallery is a small gallery inside the Hinkle Memorial Library on Alfred State College's campus. The gallery exhibits 4-5 shows every year, featuring the art of students, staff, and visiting artists or artists in residence. The Robert C. Turner Gallery is a professional gallery space run, organized, and juried by Alfred University student interns and serves as a platform for the display of student artwork during the academic year. The Turner gallery, with its unique architecture and multi-level exhibition space, invites and encourages mixes of both experimental and professional displays of artwork. 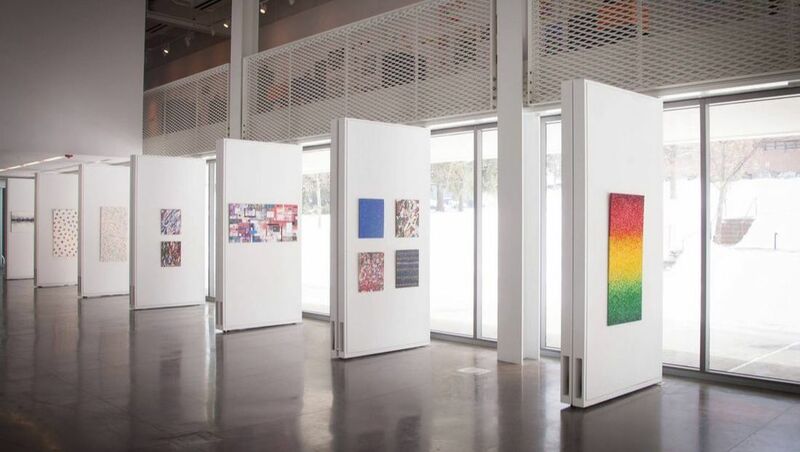 The gallery makes a goal of providing a forum for innovative and relevant ideas in art and to facilitate learning, connections, and creative freedom. The Rogue Carrot is a natural grocery store in the Village of Alfred, New York. The store specializes in wholesale herbs and spices, along with locally sourced meats and produce. also, The Rogue Carrot frequently stocks gourmet pastas, grains, and sweets. The Rosebush is a restaurant and bar with a New York City feeling, and modern day menu with small-town pricing! In addition to playing host to rotating exhibitions, The Rosebush also offers 10% off (with coupon) for any meal on Alfred Art walk evenings. Scholes Library primarily offers information services that support the New York State College of Ceramics at Alfred University's pursuit of advancing art, science, and engineering. Additionally, the library offers a modest gallery space that showcases artwork by students, staff, and faculty. The gallery cycles through a variety of shows curated by diverse individuals throughout the year. The Terra Cotta Celadon Company Building is a historic office building and display center built in 1892 by the Celadon Terra Cotta Co. The Alfred Historical Society worked to preserve and move the building to its present site, across the street from the Alfred Post Office, in 1974. The Alfred Historical Society hosts open houses throughout the year for people wishing to examine the interior and learn about the history of the building and the tile company. The Terra Cotta Coffee House is a quiet cafe in the middle of downtown which plays host to a series of rotating exhibitions throughout the year. Just a few minutes walk from anywhere in town, The Terra Cotta has several varieties of coffee, tea, chais, and more. Open 365 days a year. Baker's Bridge Antiques is a small antique shop with three dealers offering a wide of vintage clothing, textiles, costume jewelry, pottery, glass, furniture, and a wide variety of antiques. Yarn Over, formerly Alfred Knitting Studio, will be having its grand re-opening August 2018. Yarn Over specializes in local yarn and vintage notions. The Andover House is located in Andover, NY, and houses work from some of Alfred's best ceramicists, including Robert Turner, Ted Randall, Charles F Binns, and more. Buyers and sellers of antique work, the Andover House boasts a large collection of Glidden pottery. The location acts as both a store and as a viewing space, offering occasional exhibitions of the collection. Walker Metalsmiths is a craftsman-run workshop specializing in authentic Celtic jewelry and mixed metal designs. Walker Metalsmiths specialize in Celtic knotwork wedding rings, crosses, brooches and much more in Sterling Silver and Gold. Their workshop and gallery is located in the Village of Andover in rural Allegany County of Western New York State. Fassett GreenSpace is a multi-faceted project to transform a vacant lot into a commemorative sculpture park and community garden for the public to explore as urban meditation. Led by local community activist, farmer, and artist Cassandra Bull, this project was designed to be a respite for the personal toll that poverty can inflict on the residents of Allegany County. ​ Check out the progress on this amazing new space! Wellsville Creative Arts Center exists as a creative hub to enhance the quality of life for the people in its community. Its purpose is to provide high-quality education in the arts, entertaining and creative programming, and a venue for a wide range of cultural and community activities. ​The Little Gem is an exciting collection of unique crafts, products, and works of fine art from talented Western New York artisans. These include hand-crafted jewelry, pottery, and furniture as well as gemstones, postcards, and works of fine art such as paintings, prints, and photographs.